The CHS Certificate of Registration is a document issued with data provided by the customer about a watch: brand, model reference number, serial number and movement number. This confidential data is then entered into the International Archives of CHS with full customer privacy. This service, in addition to providing a record of new timepieces, (and potentially increasing their value), is an effective way of creating documentation for antique and vintage watches, which, until now, have been untraceable in the market. 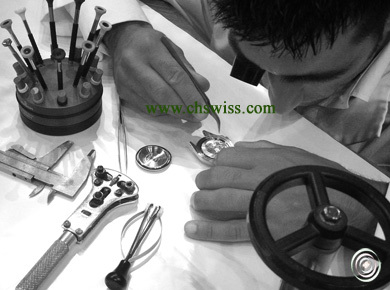 Expert valuation of the watch can be made by appointment with our laboratories. After careful examination of the watch, the customer will receive a detailed report, complete with history and a market quotation for the watch. A Certificate of Authenticity can be issued by sending the watch to our headquarters or to our affiliates. An expert examination will be carried out in collaboration with the specialised laboratories of the manufacturer concerned. If the watch is confirmed to be authentic, then a certificate will be issued. 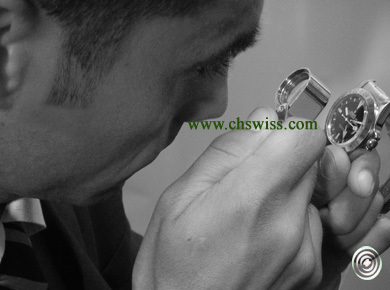 The restoration or repair of a timepiece is carried out in collaboration with the manufacturer concerned in order to ensure a high quality service, which meets the exceptional Swiss standards. This certification service known as “Swiss Extreme” is obtained by taking the watch on an “exploratory trip”, such as deep-sea submersion. During this “mission”, we measure the quality of the watch material, its durability, waterproofness, resistance to temperature and magnetic fields and, above all, its time-keeping precision. An innovative consultation service offering expertise and advice for buying at auction, as well as for the purchase, sale and management of private collections. During consultation, the customer can also be informed of the current dynamics of the watch market as well as receiving professional advice on the complex aspects of timepiece collecting.